Casey, Casey, Casey. I have to say thanks, even if begrudgingly. Edible flowers…, WTH!!! I don’t think I’ve ever eaten any or had any on something I’ve eaten. I mean fresh edible flowers specifically. Nev.Ah. So when you threw those in as one of the ingredients for this month’s Top Chef It Yourself Challenge, you threw me for a huge loop. And that’s exactly what this challenge is about. Stretching comfort zones, thinking outside the boxes. Exploring. Testing. Challenging. So really. THANKS. Gracias, Merci, Grazie, Danka and all other languages I don’t know. I tried, really I did. I Googled, Yellow Paged, emailed, did all the researching things one does in order to find something. Finally, a contact mentioned they had edible flowers through their organic market association thing and they could get me some. So I got them…, they weren’t labeled. I still don’t know what they are. They didn’t taste like anything *insert VERY pregnant pause here* even remotely special. They just tasted sorta *pause* green. In the end I feel I copped out a bit, I went with dried lavender. In my defense, I’ve never cooked with it, unless you count Herbs d’Provence. The other ingredients were shallots and our choice of beef, pork or lamb. Since I’m trying to challenge myself, I opted for lamb. I had only cooked it twice and both times I cooked chops. To recap: lavender, shallots and leg of lamb–those were my ingredients. I had a very clear idea in my head. 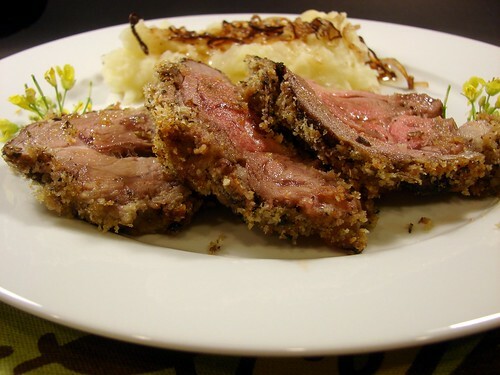 I once saw Gordon Ramsay prepare lamb chops that he crusted in a parsley-breadcrumb mix. They were beautiful. The green was bright and vibrant. And that’s what I envisioned, except I was hoping for purple. I didn’t quite get that effect. Not sure if it was because my newly purchased food processor didn’t grab the lavender buds or if it’s just because the lavender was dry and thus didn’t spread its lovely hue. No matter. The result was out of this world deliciousness. Lavender tastes slightly sweet, not minty but slightly so. Maybe like very mild rosemary? There’s a certain smokiness to it. It paired incredibly well with the lamb’s gamey taste, almost spotlighting it. It was divine. 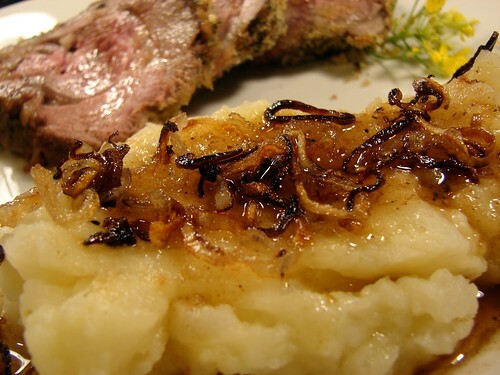 I crusted the lamb with lavender and breadcrumbs and served it with a turnip & potato mash with fried shallots and brown butter sauce. That’s a mouthful, and it was oh so good. Here’s the scoop. 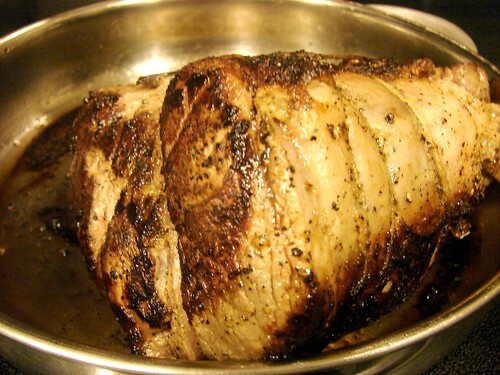 Mix the garlic, salt, pepper and 2 tsp oil and rub it on the lamb to marinate. Truss the lamb, this will help cook it evenly. Set it aside for now, this is a good time to prep the turnips or whatever side you plan on serving with this. 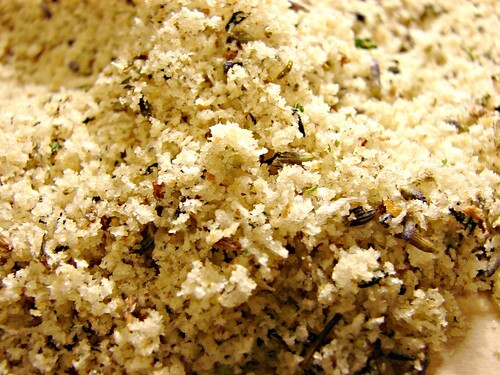 Combine the lavender, thyme, panko and the rest of the oil, set aside. Heat an ovenproof skillet over high heat and swirl a few drops of olive oil. Sear the lamb on all sides, cooking for about 2-3 minutes per side. Preheat oven to 375°. 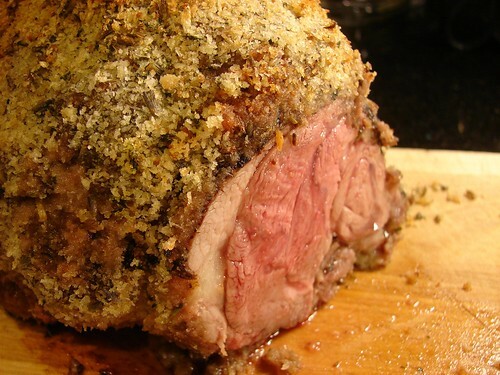 Cover the leg with the panko mixture on all sides, pressing it onto the leg of lamb. Put it back on the skillet and pop it in the oven to roast for about 40 minutes or until the internal temperature reaches 170°. Once it reaches this temperature (for rare lamb), remove it from the oven and allow it sit for at least 15 minutes to allow the juices to redistribute. 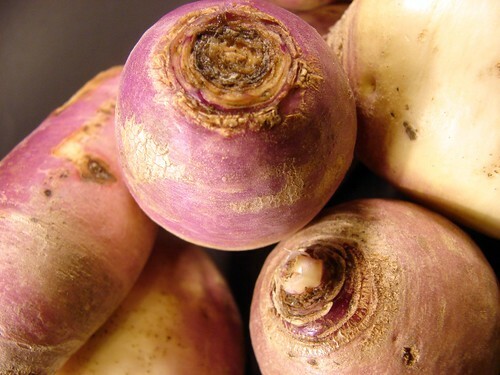 Now let’s talk about the turnips. I’ve only had them twice before this time, I noticed they seem to retain a lot of water. Since I wanted to mash them, I wanted to make sure there was some creaminess, that’s why I added the potatoes. The other thing I did was steam instead of boil them, that kept them nice and dry. I have one of these little steam baskets, I put it at the bottom of a medium sized pan and added enough water to create some steam. The water shouldn’t come through the basket. Combine the turnips and potatoes, add about 1-2 tsps of sea salt and place them on the basket. Cover with the pan’s lid and cook at a medium boil for about 20 minutes or until fork tender. Once the potatoes and turnips are tender, drain the water and return the turnips to that saucepan (without the basket). Add the butter and mash roughly. Adjust seasoning as desired, set aside and keep warm. 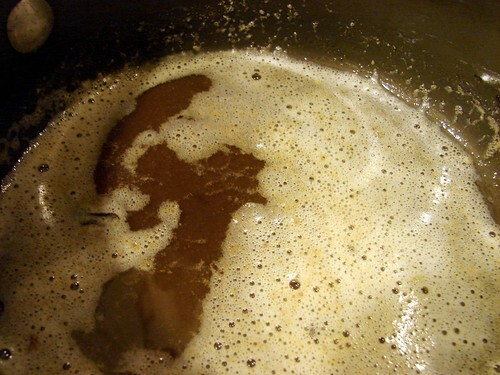 For the Brown Butter Sauce: In a small pan melt 3 tbsp butter over medium low heat. 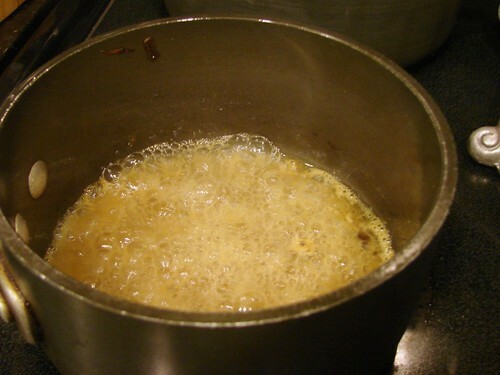 Continue heating the butter until it begins to change color to a deep golden brown. At this point add 1/4 cp of sherry and flame it to burn off the alcohol. Keep warm. For the Fried Shallots: Thinly slice 2 shallots. Heat about 2 tbsp of oil on medium high heat. Add the shallots trying to keep them in a single layer. You’ll want to keep your eye on this, as the shallots with brown fairly quickly. Once browned, drain on paper towels. Bring it all together. 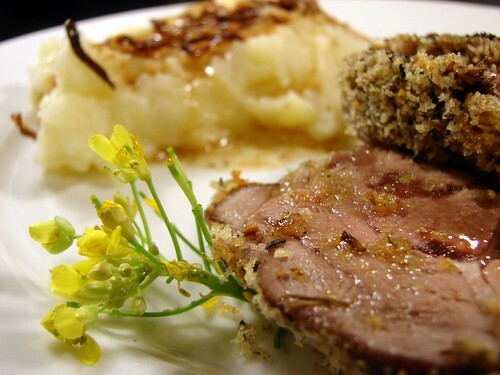 To plate it, place a couple medallions of the lamb on a plate. Spoon some of the mash next to it and top the mash with a couple tablespoons of the butter sauce. Top the sauce with the fried shallots. Eat it! Add the shallots last so they’re still crisp when you eat them. Doesn’t that look just AWESOME?! Another flower to consider is Basil. It has the double advantage of being able to use the leaves as well. I’m definitely curious about including flowers in my cooking after this challenge. Not sure Houston is up with that, but we’ll see. Lavender is my favorite, hands down. Give me a piece of lavender cheesecake and a glass of wine and I am over the moon. This looks delicious – maybe I will try it after rodeo is over. Lavander is alway in my pantry. I made a mix of sea salt and lavender for a nice finish. Thnaks for this wonderful dinner. woohoo! i did it, got my dish done on time! threats work apparently! I have some dried lavender. I bought it to make sachets for mother’s day. My husband is so fragrance sensitive that I have it double plastic bagged in the garage and I can still smell it. So I won’t be cooking with it. : ( I love lavender. You not only met the challenge, you ACEd it! I think this is a perfect ‘welcome to Spring’ dinner. Gorgeous recipe and photos. That really does look incredible. I bet it was beyond delicious! Thanks for the kudos, guys. I really had fun with this one, eventually. And it was REALLY yummy, if I do say so myself. Thanks, Rachel! Those are really yum, I will be making them again… SOON. Thanks for stopping by. I’ve never tried to put lavender in food. But is sounds like a super super delicious idea! I will have to try that. It could have been nice to decorate my Swedish Cupcakes with too. I love lavender, but this was my first time cooking with it. 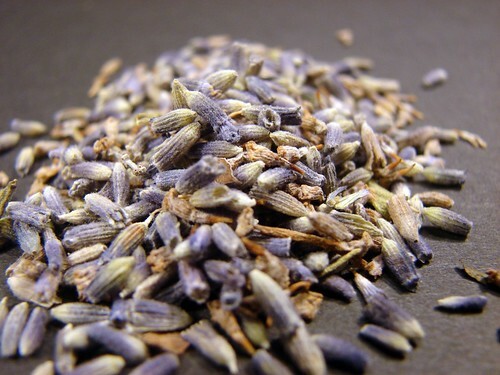 I know it is present in Herb’s d’Provence, but because it is mixed with other aromatics, I never really isolated its flavor. I will from now on. Let me know how it works with the cupcakes, I know it is often used in sweets. 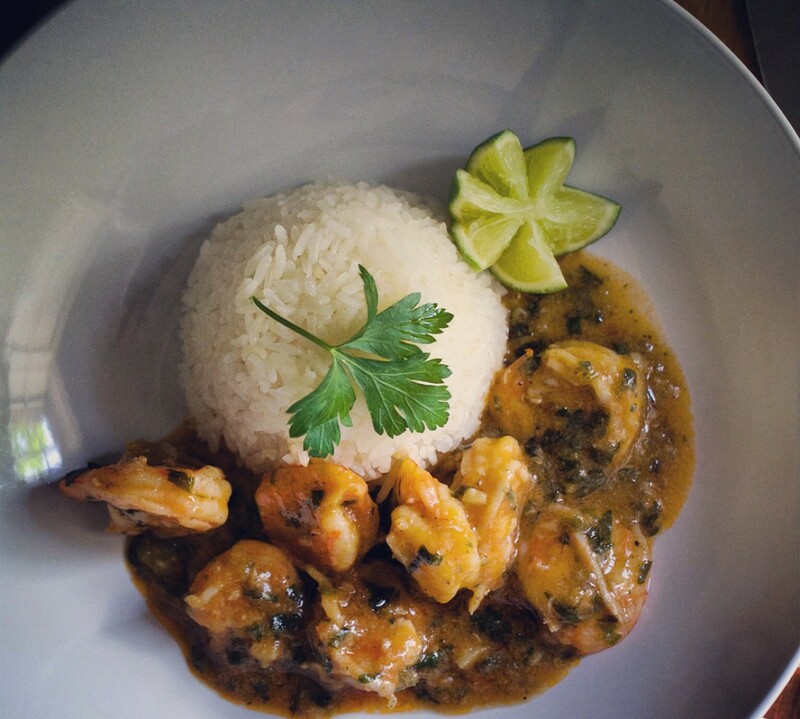 Your pictures and recipes look AMAZING–beautifully done!!! I want a plate of that right now…lol. I’ve been cooking with fresh flowers for a while and based on the blank stares I get when I talk about or present a dish using flowers, I’m guessing it’s still not that common among a lot of US cooks/eaters. I’ve only recently got into lamb, but i DO love it. I hope you’ll give it a try and thanks for stopping by! Wow! You have some beautiful pictures. Congratulations on being featured by foodbuzz today! This dish looks amazing! 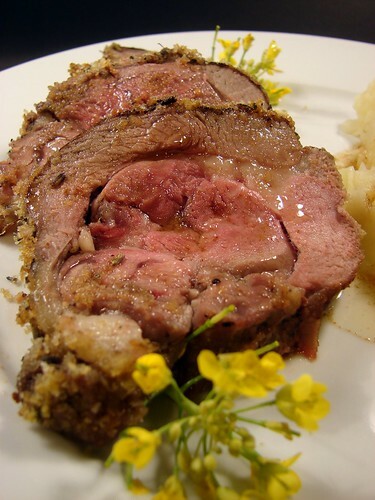 The combination of garlicky lamb (rare- just the way I like it! 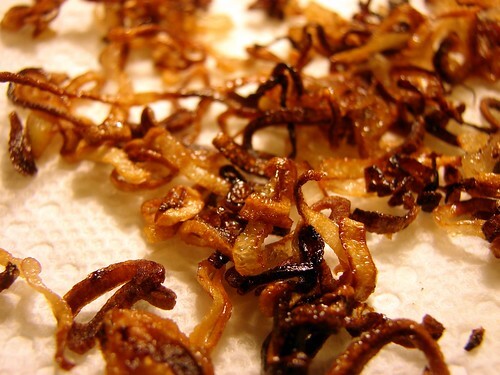 ), crispy shallots (who can resist? ), turnip mashies, and lavender is so sophisticated. 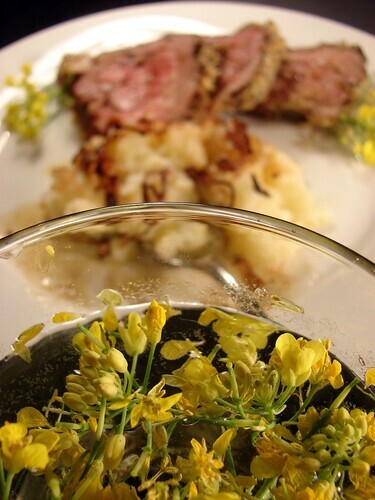 The fresh flowers are exactly how they need to be – eaten fresh. I’d say you passed the test with flying colors.